- How did you come up with the name of this book? 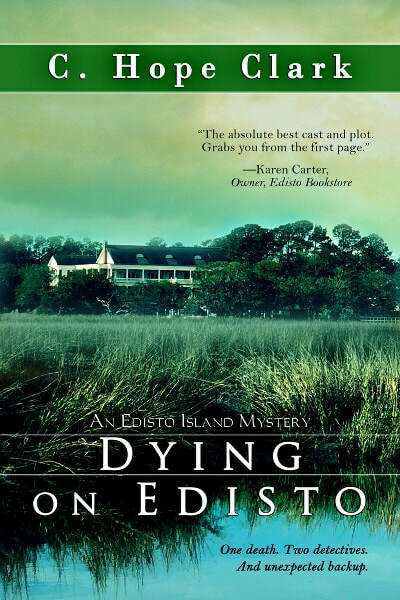 Dying on Edisto fits a pattern we established with the series from the outset. The odd-numbered books are Something on/of Edisto. Three words. The even-numbered books are Edisto Something, two words. This being book five, it was time for the first pattern. Sometimes I think it’s more for our purposes than the reader’s. But one might ask why is Edisto in every title. These stories are steeped and rich in setting. The real Edisto Island is a jungle-like environment in the South Carolina coastal Lowcountry. Setting owns you down there. Salt air, bugs, and all the wildlife that comes with the ocean and marsh. Sunrises, sunsets. Sounds of the ocean as well as the birds. . . the raccoons at night. Add that to the fact that Edisto Beach is a vacation destination, gave us strong reasoning to insert the name Edisto in each book title. 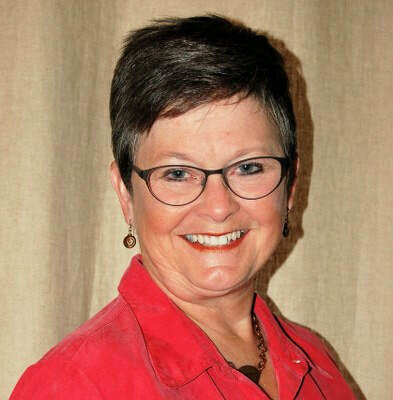 A huge number of book sales takes place through the Edisto Bookstore on Edisto Island. Tourists arrive each and every weekend, stereotypically seeking a good beach read. They gravitate toward the island’s name, often purchasing the entire series with a desire to entrench themselves into this paradise as deeply as they can. And I credit my publisher for that decision. The Dying part of Dying on Edisto has its own origin, though. Indigo Plantation is the new bed and breakfast in this story. The owners are trying to rejuvenate the indigo plant, feeding the trend toward more natural living through natural dyes, as well as educate visitors on the pre-Civil War history of the island. So in a slight tongue-in-cheek manner, we gave a nod to the word Dyeing while likewise recognizing the murder mystery. - What’s something interesting that happened to you? I own this question. Years back, I was still working the day job with the US Department of Agriculture. Yes….my degree is in agriculture, totally non-author-like. From Clemson University, no less. (Can we say National Championship? Go Tigers!) My family is about all things orange, but I digress. I jerked up. “Say what?” This farmer had been my client for five years. He was a bit squirelly, but still, he was a client. And he’d just offered me a bribe. I didn’t believe him, so he repeated it. He had a reputation of dealing drugs, so the offer bothered me. He just might mean it! So like a good federal employee, I called in the Inspector General. You see, you can’t call your boss, or tell your coworkers, or even call the cops. You have to call what’s in essence the FBI of your agency. After a phone interview, then an agent visiting my home to interrogate me, we spent two weeks setting up a sting operation in my office. . . pretending the two men were auditors from Atlanta just looking over files. We are still married to this day, and he’s the best technical advisor a mystery author could ever have. When it comes time to edit my books, we sit on the back porch, overlooking the lake, and over two bourbons, I read to him. While I catch grammar mistakes, he tells me which gun, how to sneak up on someone, and how far a bullet would knock someone back before they went down. I think this looks like a really interesting read! The cover looks very idyllic. This looks like a good series to fill up my summer. Beautiful cover! Sounds like a great Cozy Mystery! Love the cover.. very moody.. interesting..